Being a writer is fun with these space pencils. 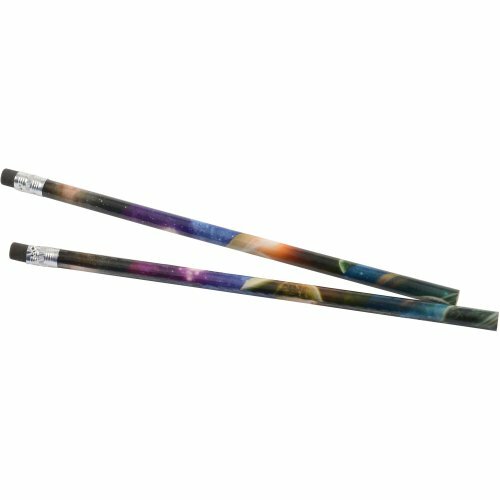 Each pencil is decorated with a space themed design. Pencils are a great item to add to a goody bag or giveaway at a church or school carnival.